The energy challenges we experience are by no means a permanent situation. There are plans in place to ensure that, over the long-term, the demand for electricity is matched by supply. However, in the short-term, it means that we have to pull together to overcome the current strain our power system is experiencing. We have already seen a number of South Africans and corporates rising to the challenge and supporting the national grid through their energy-saving initiatives. Government is also pleased that provinces and municipalities are working towards generating their own energy. The Gauteng provincial government plans to build a R7-billion solar plant that will supply 500 megawatts (MW) and create 15 000 jobs. The province will also generate an additional 1 200 MW of electricity by increasing capacity of its coal-fired power stations. Every effort is being made to navigate these tumultuous times towards an energy secure future. But more can be done to save energy and reduce the occurrence of load-shedding, which is not only an inconvenience to the daily activities of many South Africans, but also an impediment to economic growth. On the generation front, we have recorded positive progress with the Majuba Power Station returning to full capacity during morning and evening peaks. Testing of Medupi’s Unit 6 turbine (which will add 800 MW to the power system) is progressing well and Eskom has indicated that the unit will provide its full load in July. When the Medupi Power Station is completed it will generate 4 764 MW. President Jacob Zuma in his 2015 State of the Nation Address highlighted the Energy Master Plan to secure the nation’s energy supply in the long-term. “...we will pursue gas, petroleum, nuclear, hydropower and other sources as part of the energy mix,” he said. The process to bring more renewable energy Independent Power Producers onto the grid is being expedited. It is envisaged that an additional 1100 MW will result from the government’s third and fourth round of renewable energy procurement window. We are working with the private sector and municipal power producers to increase energy supply to the national grid and are fast-tracking regulatory processes so that existing co-generation contracts are renewed. The country will also tap into hydropower as an energy source by accessing 2 600 MW of hydro-electric capacity from the Southern African Development Community and 15 000 MW from the Grand Inga Project in the Democratic Republic of the Congo (DRC). Last year Cabinet ratified the treaty on the Grand Inga Project between South Africa and the DRC which paves the way for the next phase of the hydroelectric project which has the potential to meet half of the continent’s power needs. Government has identified a number of potential gas-to-power projects which include both new gas-fired power stations and conversion of diesel-fired power stations. In the first quarter of the new financial year, government will begin the process to buy 2 400 MW from new gas-fired generators. In the short-term, discussions are under way with neighbouring countries to import gas while, over the longer term, it will be supplied from the country’s own off-shore gas reserves and shale gas. Through Operation Phakisa, oil and gas resources will become available as a result of offshore exploration. In addition, shale gas deposits had been discovered in the Karoo are a major game-changer for the country. In the long-term, our energy security will be further strengthened by the completion of the three new power stations Kusile, Medupi and Ingula which will support the national grid with an additional 10 000 MW. We have also begun exploring a nuclear build programme as approved in the Integrated Resource Plan 2010-2030 to add 9 600MW to our capacity. Our target is to connect the first unit to the grid by 2023 in time for Eskom to retire part of its ageing power plants. To promote energy efficiency, the 2015 Budget increased energy-saving incentives from 45c/kWh to 85c/kWh as a reward for those who use electricity sparingly. At the same time, heavy energy users will have to pay 2c/kWh more through a temporary increase in the electricity levy. Government is confident that the frustrations and inconveniences experienced from a shortage in electricity supply will become a distant memory. The measures being implemented today will in future ensure uninterrupted and secure energy supply for the country. 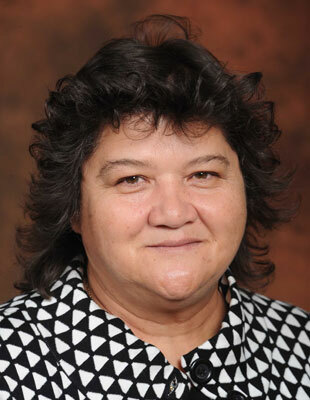 Lynne Brown is the Minister of Public Enterprises.